The Bovie Aaron Burr 2 is ideal for neurogical procedures. 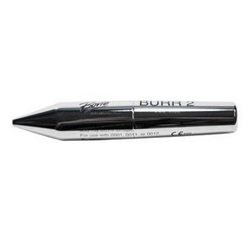 Aaron Burr 2 includes one disposable 1mm burr tip (AX13070) for corneal rust ring removal. An AA alkaline battery is included, and it also comes with a foam-lined case.